WWF aims to help investors, businesses, rural agriculture and forestry producers and government managers, within and outside of Brazil, to make decisions that are good for the rural economy and environmental conservation. 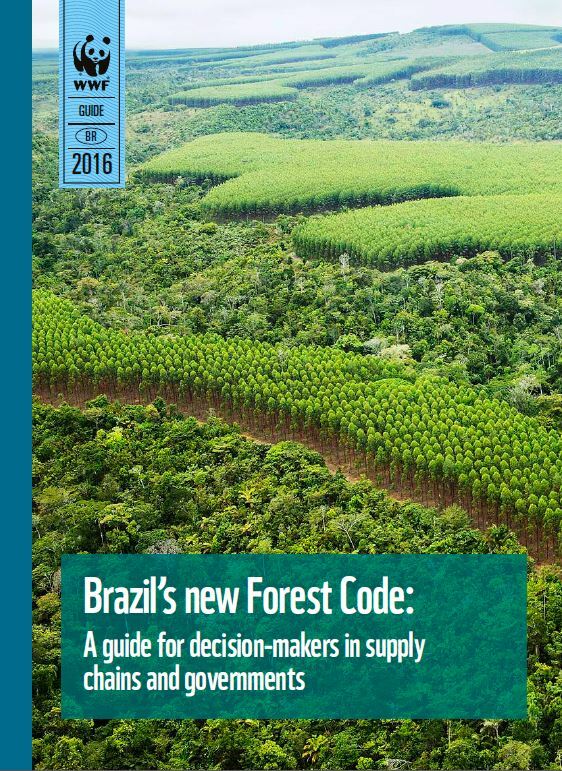 Legal security in the Brazilian agriculture sector depends on implementation of two instruments included in the new Forest Code. The Rural Environmental Registry (or CAR) and the Environmental Compliance Program (or PRA) are essential for rural agricultural and forestry to fulfill their economic role/potential while simultaneously conserving nature. The CAR and PRA have the potential to promote not just maintenance of vital ecosystem services for the agriculture and forestry sectors — water production, pollination, soil stabilization, biological control by natural enemies – but also to support recuperation of land illegally deforested in the last decades, by converting sanctions and fines in the form of ecological regeneration and conservation services. These instruments bring additional benefits to rural producers, such as environmental compliance, access to credit, and proof of legal production for the market. Beyond this, the CAR and PRA promise additional opportunities as implementation continues. However, application of these mechanisms is running up against the challenge of time. According to the law, the CAR should conclude implementation in the middle of this year, yet regulations for the PRA have not been fully articulated. 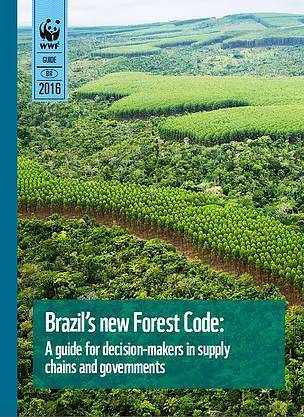 In order to help in overcoming the challenges facing these instruments in practice, WWF-Brazil, in partnership with WWF US and other network offices, launch the “Brazil’s new Forest Code: a guide for decision makers in supply chains and governments”. The guide will support investors, rural producers, government managers and companies that buy, trade and sell forestry and agriculture commodities, both within and outside of Brazil, can proceed with assurance in this new scenario. Beyond highlighting key components of the new forest law, the publication makes a series of recommendations, and provides case studies to inspire the search for solutions such that the Forest Code strengthens the link between the economy and the environment. We recommend that the Brazilian government (federal, state and district levels) invest in technologies and massive communication campaigns to mobilize society. We suggest that international organizations and foreign governments guarantee that commercial relations involving Brazilian commodities be established only when their legal origins can be proven and production follows recognized best practices for environmental sustainability. For consumers and companies that buy, trade and sell Brazilian commodities, the suggestion is that supply chains comply with the legislation. They can use their reach/influence to go beyond legality by supporting their suppliers to improve practices to realize zero net deforestation and degradation. The financial sector has a fundamental role as a change agent, promoting adoption of better practices by the agriculture and forestry sectors. We recommend the financial sector establish social and environmental criteria for access to credit and other investments. “This report is a tool that WWF is offering to highlight ways forward, including specific actions necessary, so the CAR and PRA become a reality for rural properties in Brazil. If implemented well, these legal instruments have the potential to better environmental management and recover” said Carlos Nomoto, CEO of WWF-Brasil. As Nomoto explains, Brazil is not only one of the largest agribusiness producers and exporters in the world, but also contains an extraordinary natural patrimony that is fundamental for the globe in light of our changing climate. This makes Brazil’s agricultural and forestry production a natural focus for international consumers, who are ever more attentive to these sectors’ environmental impacts. “Reconciling agriculture and forestry with environmental conservation is not just a concern for environmentalists. The largest agribusiness and forestry companies have already affirmed this idea through commitments to make it a reality. They have even led various voluntary initiatives in favor of zero net deforestation and degradation through promotion of best agriculture and forestry practices,” said Nomoto.